Mourning, or ‘motto’ rings were distributed to relatives and close friends at funerals. They were usually paid for out of the estate of the deceased and are often mentioned in wills. 18th-century examples tend to be simple gold and black enamel hoops, later examples are more ornate. They are inscribed with the name and dates of the deceased and sometimes incorporate hair. Today, when death is largely a taboo subject, they remind us that in earlier times death was dealt with in a more open fashion. This is a remarkable and very rare group representing 120 years and several generations of one family. It shows how styles changed as well as interesting details such as the use of white enamel rather than black for an unmarried woman. There are a couple of duplicates, albeit in different sizes, but the collection was sold as a whole. The Smyths were one of the most important families in Bristol from the 17th century until the Second World War and their home, Ashton Court, is now owned by Bristol City Council. They were benefactors to the city and its surrounding areas – giving, amongst other things, ‘The People’s Park’, Bedminster (now Greville Smyth Park), land for Wraxall School and a large collection of natural history specimens to Bristol Museum (most sadly destroyed when the Museum was bombed in 1940). Despite this, Bristol Museum has very little material connected with the Smyths, apart from some family portraits – including the portrait of young Florence Smyth with her black page which the Friends helped the Museum purchase in 2008. 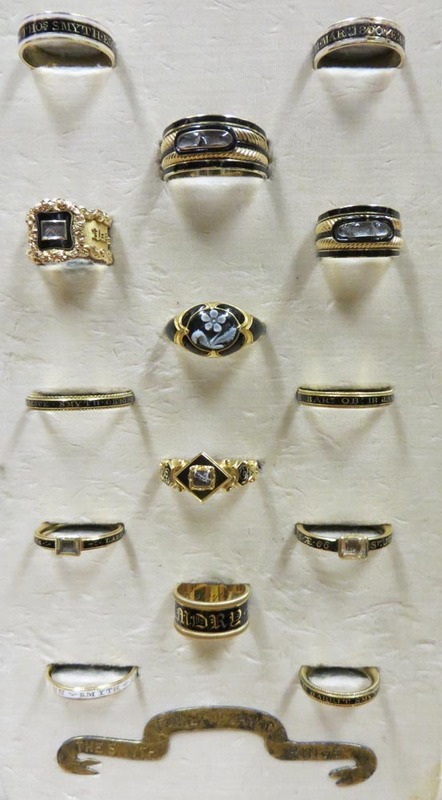 In addition the Museum holds portraits of three of the Smyths represented by the rings. 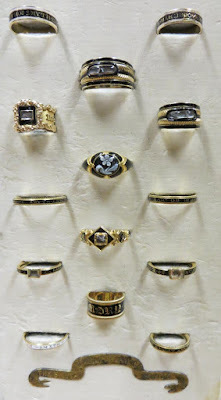 The Art Gallery previously had just one 18th-century mourning ring so these are a useful addition to the Museum’s jewellery collection quite apart from the local and social interest. An exhibition on ‘Death’ is currently in preparation and the rings will definitely feature here. They might also be incorporated into the silver displays at the Museum or displayed at Red Lodge along with the relevant portraits. 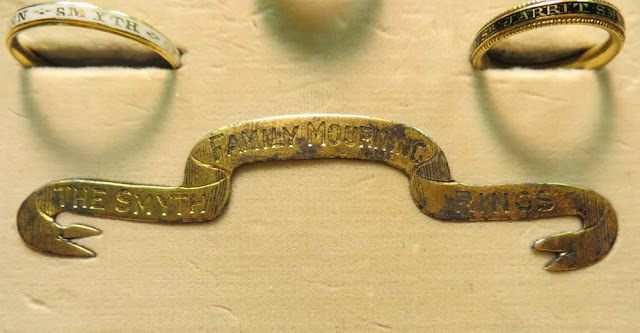 The rings were purchased at auction (Humbert’s of Towcester) on 20 February 2014 at the price, including buyer’s premium, of £7170 funded in full by The Friends. An exhibition on ‘Death’ is currently in preparation and the rings will definitely feature here. They might also be incorporated into the silver displays at the Museum or displayed at Red Lodge along with the relevant portraits. Bristol Art Gallery . Queen's Road . Bristol . BS8 1RL . Website by Friends of Bristol Art Gallery. © All rights reserved. Simple theme. Powered by Blogger.